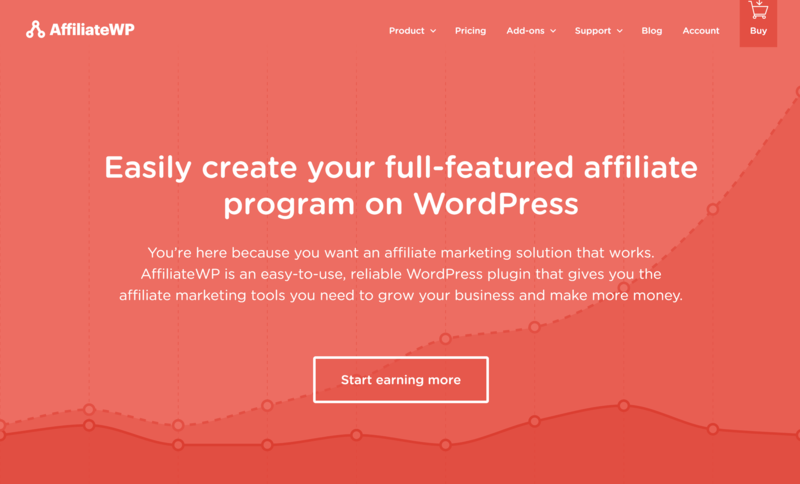 Created by master WordPress-plugin-developer Pippin Williamson (author of the ever-popular Easy Digital Downloads and Restrict Content Pro, to name but two of many), AffiliateWP is a plugin that allows you to create and manage your own affiliate program for your WordPress website. This means you can allow visitors whom you approve of to sign up to become affiliates of your site, and earn a commission for each new customer or client they refer to you. An affiliate program such as this could not only result in dramatically increased sales and revenues for your site, but could also be a great way to grow a loyal audience of folk keen to promote your products and/or services. In essence, AffiliateWP includes all of the features and functionality you’ll need to start and manage your own affiliate network from within your WordPress admin dashboard. This means you’ll be working from an existing (and familiar) user interface, and it also negates the need to use any additional services that may require you to either pay a monthly fee and/or hand over a cut of your takings! Let’s take a look at the features this amazing plugin has to offer, and, perhaps most importantly, find out just how easy it is to start offering an affiliate program for your products and services. Why Create an Affiliate Program? If you aren’t yet entirely sold on the idea of giving away a percentage of your profits to a team of affiliates, then you could be missing out on a great way to increase your sales and generate more revenue. By recruiting a team of affiliates to promote your products and services, you can effectively outsource the marketing of your offerings on a performance-related payment model — meaning only those who bring in actual sales receive payment. In the past, it would have been difficult to manage your own affiliate program, and it would have likely required you to pay a service provider to take care of the technicalities. AffiliateWP, however, aims to make the whole process something you can do yourself — directly from within your WordPress dashboard. AffiliateWP boasts all of the essential features you’ll need to get an affiliate program up-and-running for your website — and also a number of appealing additional features. Optional front-end affiliate registration forms. Auto or manual approval of affiliate applications. 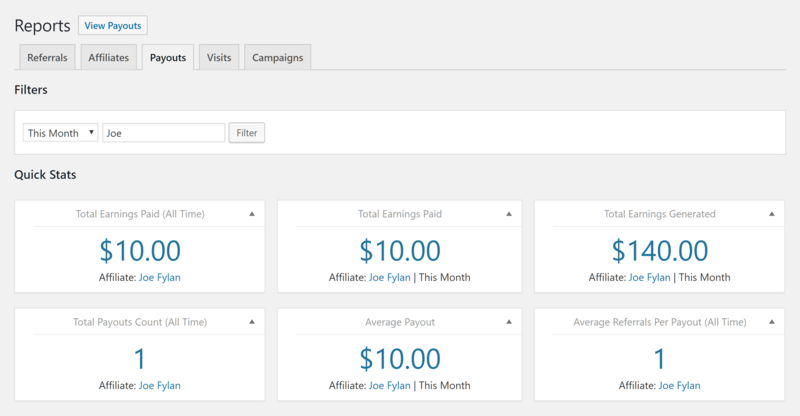 Front-end affiliate area with reports and tracking information. Integration with other plugins such as WooCommerce. Set global fixed or percentage amounts for referral fees. Custom referral rates for individual affiliates. Mass pay your affiliates by exporting a CSV file.  Publish your own creatives for your affiliates to use. Export and import affiliates, referrals, and settings. Assistant to help migrate from other systems. Once configured to do so, AffiliateWP will enable visitors to your website to sign up via the included registration forms to become an affiliate for your products and services — either by an auto-approval-type system for new applicants, or by requiring that they’re manually approved by the site admin users. 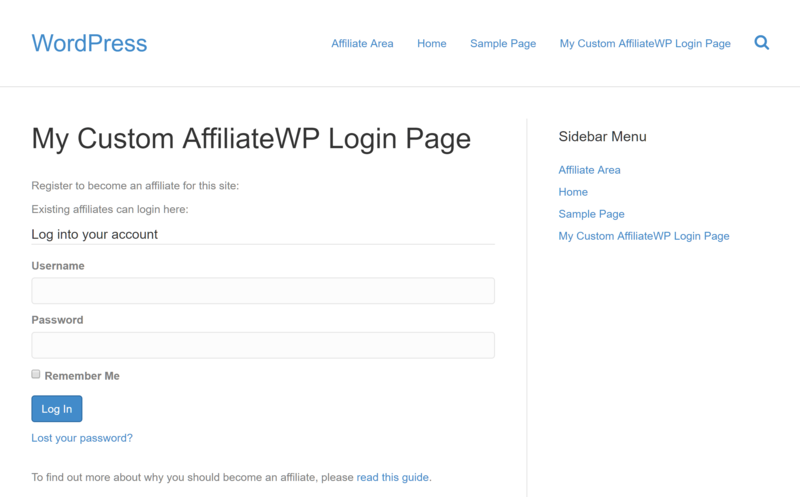 AffiliateWP also includes a number of useful shortcodes, such as those that can be used to publish the affiliate registration and login forms on any page of your website, and those that allow you to restrict the content of a post or page, such as your affiliate messages, links and banners, to logged-in affiliates only. When it comes to managing new affiliate accounts, a further option is to manually manage the new affiliate account creation process yourself, which can be useful if you’d like to keep your affiliate program private, rather than publish public registration forms on your website for everyone-and-anyone to see. As part of this functionality, you also have the option of importing multiple affiliate accounts into your site in CSV format — something you should find useful if migrating from a different system. AffiliateWP makes it very easy to import affiliates and data from other sites and systems. While AffiliateWP can automatically track conversions, including which affiliate sent the visitor to your website, referrals can also be recorded manually on the back end by the admin user. On the relevant settings page, there’s plenty of flexibility to determine exactly how much affiliates can earn — on a global level, where necessary, and either as a flat fee or a percentage of each sale. Furthermore, you can also override this amount for individual affiliates via their account page, thereby giving you the ability to give bigger rewards to higher performing affiliates, for example, or better persuade high-profile bloggers to promote your products by offering them greater referral rates. 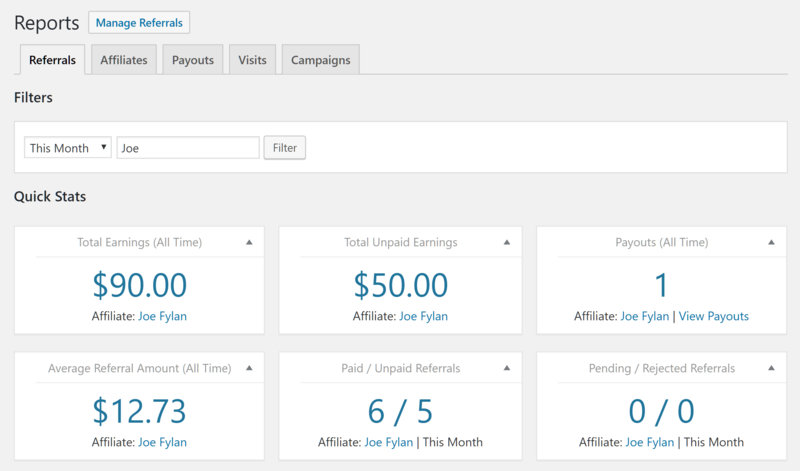 You get full control over how much your affiliates earn per referral with AffiliateWP. AffiliateWP also has some pretty impressive integrations with many of the major ecommerce and membership plugins for WordPress. Since the release of version 2, AffiliateWP now works seamlessly with the Gravity Forms, Ninja Forms, and Contact Form 7 WordPress form builder plugins, as well as the Paid Memberships Pro, MemberPress, and OptimizeMember WordPress membership site plugins, plus a number of eLearning and payment processing plugins. In addition, the plugin is also — reassuringly — already being used by a number of extremely high-profile WordPress products you may already be familiar with, such as SearchWP and, of course, Easy Digital Downloads (yet another of Pippin’s Plugins), which goes to show just how robust a system it is! What’s more, to help you get started as quickly as possible, and then master the more advanced features of this plugin, AffiliateWP comes with a wealth of well-written online documentation and tutorials. After activating the plugin, the best place to start is the settings page. This will give you a good idea of how you can customize the plugin to meet your needs, and, most importantly, also give you a general idea of how it works. Through the integrations tab, you can enable integrations with various supported plugins with a single click. However, it’s fine if you aren’t using any of these supported plugins — you can still use an included shortcode to create and track referrals by placing it on your ‘success’ page. 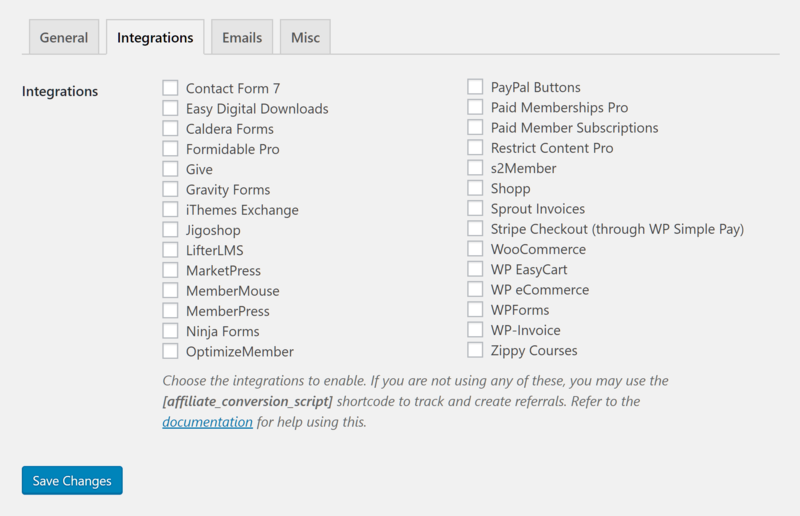 With each update to AffiliateWP, more integrations with other WordPress plugins and services have been added. If you want to give your visitors the ability to sign up as affiliates by themselves, you can use the included shortcodes to insert the registration forms into any of the posts and pages of your website. Creating custom registration and login pages is easy with the AffiliateWP shortcodes. Once published, the forms will be displayed to all non-logged in affiliates, and will take on the styling of your theme — meaning they should, hopefully, integrate seamlessly with the rest of your website. 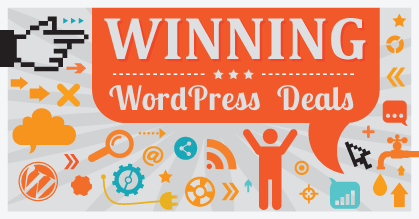 The AffiliateWP login forms should integrate seamlessly with your WordPress theme and website. To save you even more time, the latest version of AffiliateWP now adds a page to your website titled Affiliate Area, which can be used to display the signup and login forms, as well as the affiliate dashboard. 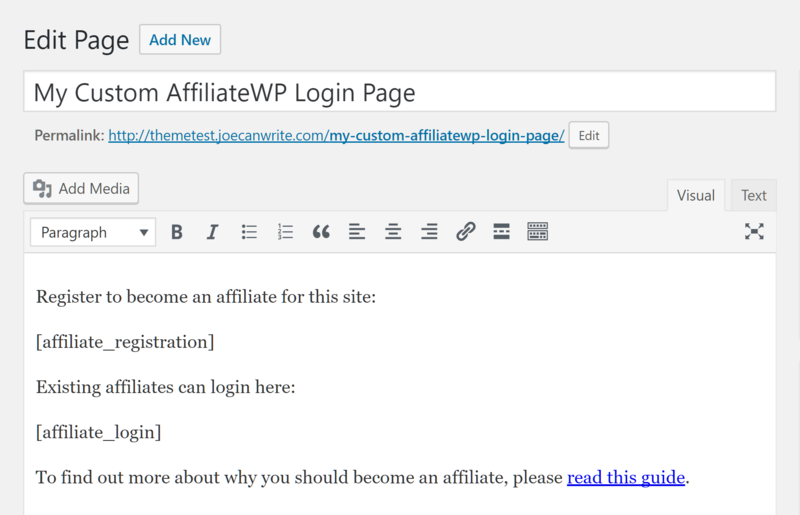 To help you get started, AffiliateWP adds an optional affiliate area page to your website. You also have the ability to define which forms are displayed on the auto-created affiliate area page. You can choose which forms are displayed to your visitors. 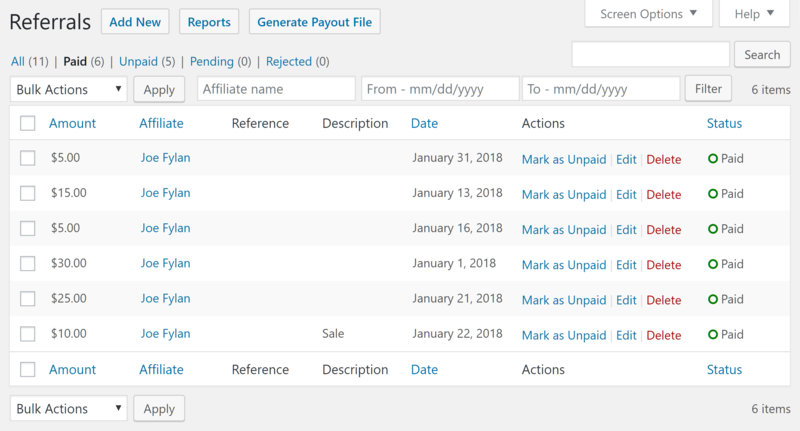 There are also a number of other shortcodes that come with the plugin, such as those that allow you to enable the affiliate dashboard for your users, from which your affiliates can track their performance and earnings. Should you wish to, you could, for example, wrap one of the shortcodes around some post content to make said content available to only logged in affiliates. 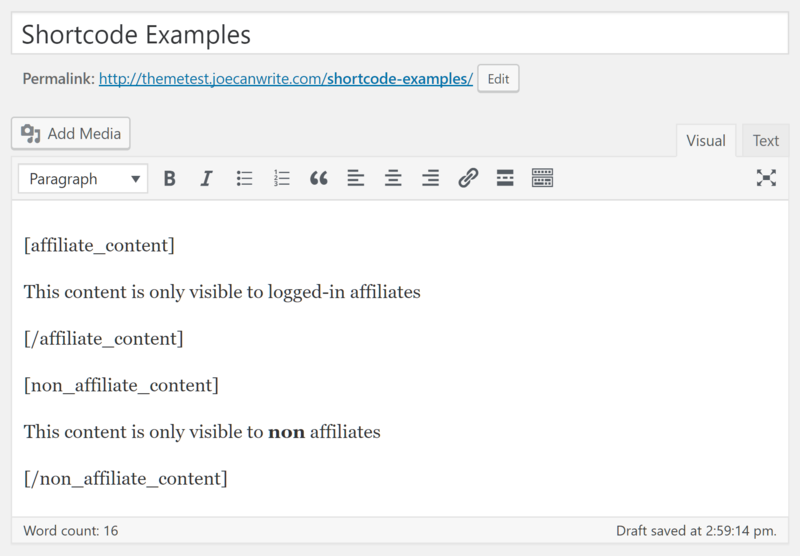 These are some more of the useful shortcodes that AffiliateWP includes. Once you’ve set up the registration and login pages, you will (if all goes well) start to get visitors applying to promote your products and services to earn a referral fee. From the affiliates page in the back end, you can view all of the affiliate accounts on your site — including pending and rejected applications. You can also view earning totals and other information related to the performance of each affiliate. AffiliateWP makes it easy to keep track of how your affiliates are performing. Through the settings, you can also enable email notifications of when a new application is received, allowing you to approve or reject them at your earliest convenience. To help your affiliates promote your products and services, you can add banner images, graphics, text links, and other items to your website through the creatives section in the back end. For each creative, you can easily add an image or link text, and then specify a URL to a page on your website. You can publish creatives to help your affiliates promote your site and share them in the affiliate dashboard area. Your affiliates can access these creatives from their front-end dashboard area once they’re logged in. 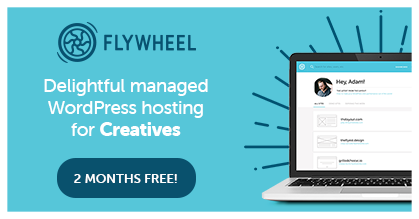 What’s more, the plugin makes it as easy as possible for your affiliates to use the creatives, thanks to the way AffiliateWP displays the HTML that needs to be copied and pasted to add the links to a post or page. Once you’ve configured the plugin by setting the currency type and referral rates, published your registration forms, and added a few creatives, you should then be just about all set up and ready to go. The reporting tools in the back end allow you to quickly get an overview of how your affiliates are performing — complete with charts and graphs to visualize the data. Since the release of version 2.1 of AffiliateWP, you can use the Payouts tab to view performance reports for your affiliate program. These recently added payout reports make it easy to see the total earnings paid out over time, or for a specific custom date period. The AffiliateWP reports section includes details on payments you’ve made to your affiliates. You can now also generate performance reports for the individual affiliates on your website, meaning you can quickly see who your most valuable affiliates are. The charts on the report screens make it easier to visualize the data. The report screens also feature charts that make it easier to interpret the data. Exporting visits to your site generated by each affiliate in CSV format, for further analysis in software such as Excel, is now part of the functionality of the latest version of AffiliateWP. The reports can also display how many referrals each affiliate is generating. All being well, all that’s left for you to do at this stage is to keep creating or listing great products and services that your affiliates will be happy to promote, and make the commission payments for the successful referrals. When it comes to making the payments to your affiliates, you can use the Generate Payout file tool on the referrals page in the back end. This will create a CSV file containing the payment details for all of the unpaid referrals in a date range of your choosing. Viewing all referrals is straightforward, too — as is generating a payout file for easy payment processing. This file can then be imported into a payment processor, such as PayPal, saving you the trouble and effort of making each payment individually. The official AffiliateWP extensions are available to plugin license holders. While the core AffiliateWP plugin does indeed include everything you need to run your own affiliate program, there’s also a good selection of official and third-party add-ons available to extend the functionality even further. 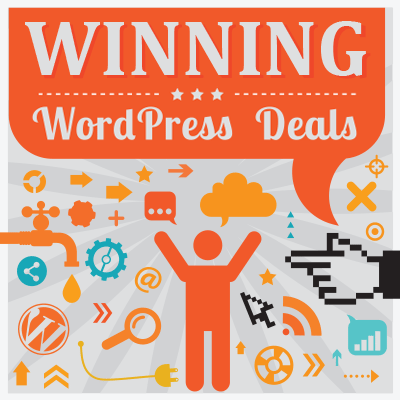 We’ll cover the pricing options next, but those who purchase either of the two lower-priced AffiliateWP packages get access to the 15 official free add-ons, while those who choose one of the two top-tier packages receive access to the 14 official pro add-ons (plus the 15 free add-ons). These official AffiliateWP add-ons aren’t available for purchase individually, but there are third-party AffiliateWP add-ons that you can buy on an individual basis from their creators. Offer tiered affiliate referral rates. Pay your affiliates with store credit. 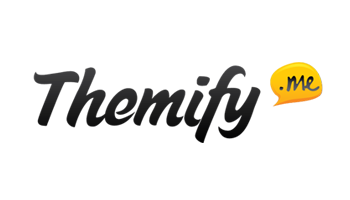 As well as the above-mentioned off-the-shelf add-ons, there are a number of code snippets on GitHub that can help you to modify how the plugin works. 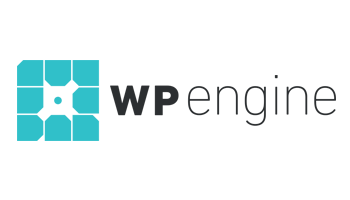 Furthermore, as the AffiliateWP plugin is well regarded for its clean code, developers should be able to make their own adjustments to the plugin if necessary. Personal: $99 — one site license. Plus: $149 — three site licenses. Professional: $249 — unlimited site licenses and 14 pro add-ons (plus all future pro add-ons). Ultimate: $499 — unlimited site licenses and 14 pro add-ons (plus all future pro add-ons). All pricing options include one year of access to plugin updates and support, apart from the Ultimate plan, which includes unlimited access to updates and support. Plus, there’s a 30-day full refund policy in place, and you can also upgrade your license at any time. 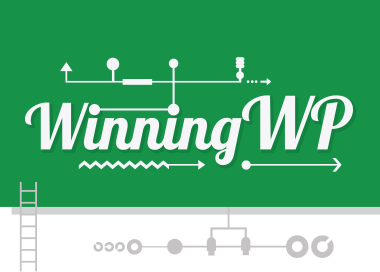 AffiliateWP is an outstanding affiliate program plugin that’s surprisingly easy to use. Setting up and managing your own affiliate program sounds very complicated, yet this plugin makes it possible to have a relatively easy-to-manage program up and running on your website in no time at all. The developers have included all of the features most people will need to manage their own affiliate program as standard, and, for everyone else, the selection of add-ons and code snippets available should hopefully suffice. The most difficult part of the process will likely be in the planning and promoting of your affiliate program. This means it’s definitely worth spending some time figuring out what sort of referral commissions you want to offer, and how you’ll decide who can and can’t become an affiliate for your products. For most users, actually setting up and using AffiliateWP will probably be the easiest part of the process. And, thanks to the plugin’s relatively low cost, it’s something just about anyone thinking about creating an affiliate program can consider adding to their site and experimenting with at their own pace. If you want the ability to leverage the affiliate model to promote your products on a no-win-no-fee commission-only basis, AffiliateWP is a feature-rich, easy-to-use solution you should almost certainly be considering! If you haven’t already, check it out on the official AffiliateWP website. Joe can we offer an digital products for the people are making registration with AffilliateWP form ? If possible…What kind of digital products, PDF, Images, Word Docs, E-book… can the we up-date ?…or… what kind of products can the new members download when they finisnhing the registration? Do you have the option to buy the Pro Add-ons one at a time or only the ones you want if you get one of the lower priced options?